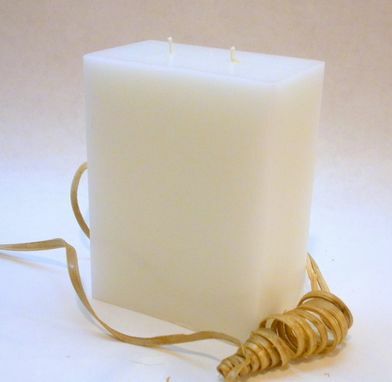 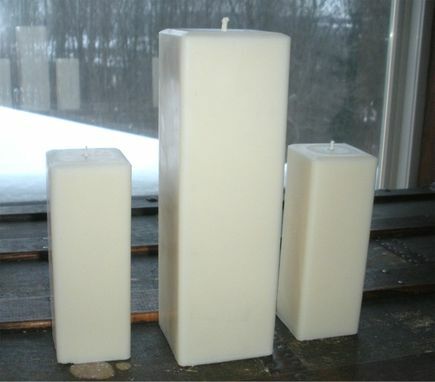 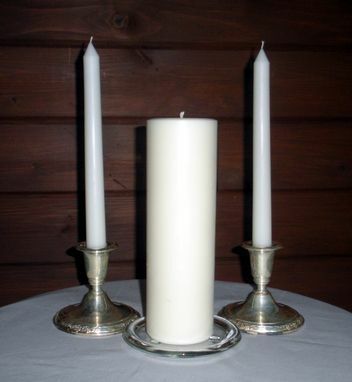 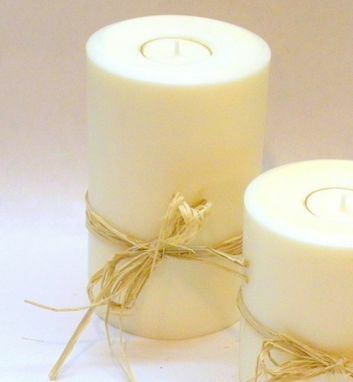 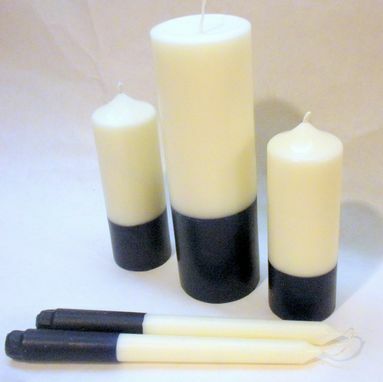 Our pillar candles are hand-poured and come in sizes from 3" to 4" diameter, up to 9.5" tall, either round or square. 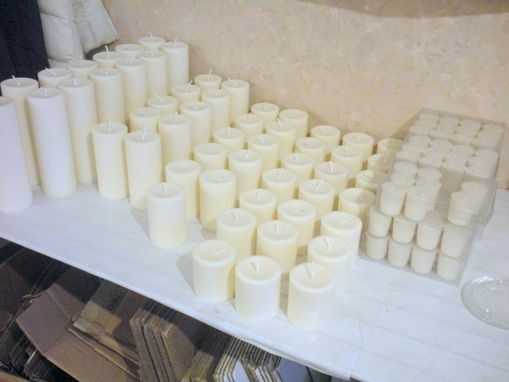 We also have some other sizes available. 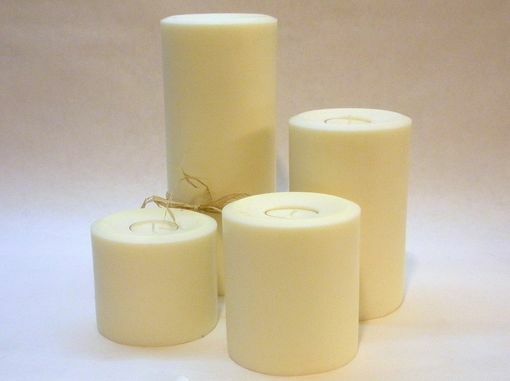 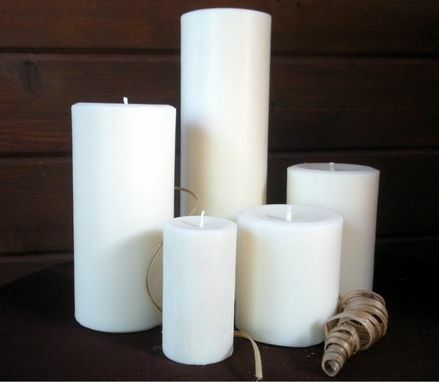 Soy is our wax of choice, but if you prefer bright white candles, we can use paraffin wax to achieve that color.